The thought of a dental procedure can be a cause of anxiety for nearly anyone. 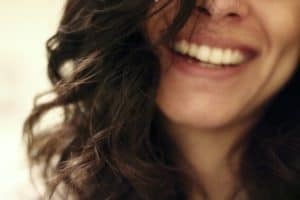 And for some of us, that apprehension can be strong enough to keep us away from the dentist for months, or even years—even if we know this will make the situation even worse. Thankfully, modern dentistry has provided several ways to ease the anxiety the dentist chair might cause you, namely sedation dentistry. If nervousness has kept you away from the dentist for far too long, sedation dentistry can be an excellent way to help conquer your fear. At Merion Village Dental, we offer several levels of sedation dentistry to meet your needs. And if you’re unfamiliar with the term, here’s everything you need to know. Sedation dentistry involves administering medication either before or during a dental procedure. Depending on the treatment needed and the patient’s level of anxiety, this can mean a light sedative or IV sedation. Before sedation is administered, our doctors carefully review your medical history and overall level of health. Depending on needs, our professionals will administer either oral (‘light’) sedation, or IV sedation (‘dream dentistry’). For those with only slight or moderate anxiety, oral sedation is convenient and wears off quickly. A prescription-strength medication is taken about an hour before the procedure, which wears off in a few hours. With oral sedation, you will feel as if you’re dozing—you’ll be awake enough to answer our questions, but relaxed enough to disregard any anxiety. While oral sedation wears off quickly, you will still be groggy following your visit so we require a friend or family member to drive you home. For patients with more severe anxiety or other issues, dream dentistry is available to help relieve your symptoms. Our doctors will administer an intravenous sedative that puts you in a twilight state during your procedure, where you’ll be just barely awake—but coherent enough to interact with us. Dream dentistry will leave you feeling sleepy for a much longer period of time, so it’s imperative that you don’t drive following your dental work. Sedation dentistry is an obvious choice for those of us overcome by anxiety about the dentist chair. But there are other reasons to consider sedation for your next trip to our office. For some, an easily-triggered gag reflex can make something as simple as getting your teeth cleaned a long and uncomfortable process. Under sedation, you and your dentists are able to overcome that reflex and complete the work. Sedation dentistry can be a real benefit for patients who find sitting still for long periods of time difficult, or may shake uncontrollably due to an illness or other issue. For other patients in need of extensive dental work, sedation can make the difference between getting the treatment finished in one visit, or needing to return multiple times to complete the procedure. Your next trip to our office doesn’t have to be a cause for panic. To find out if sedation dentistry is a good fit for you, contact us today to schedule your next appointment. How Can a Dentist Help Treat Your Sleep Apnea?